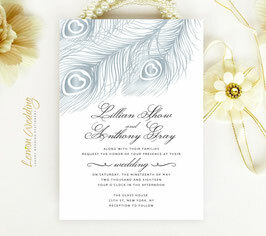 Share the news of your special day with our unique Peacock Wedding Invitations. 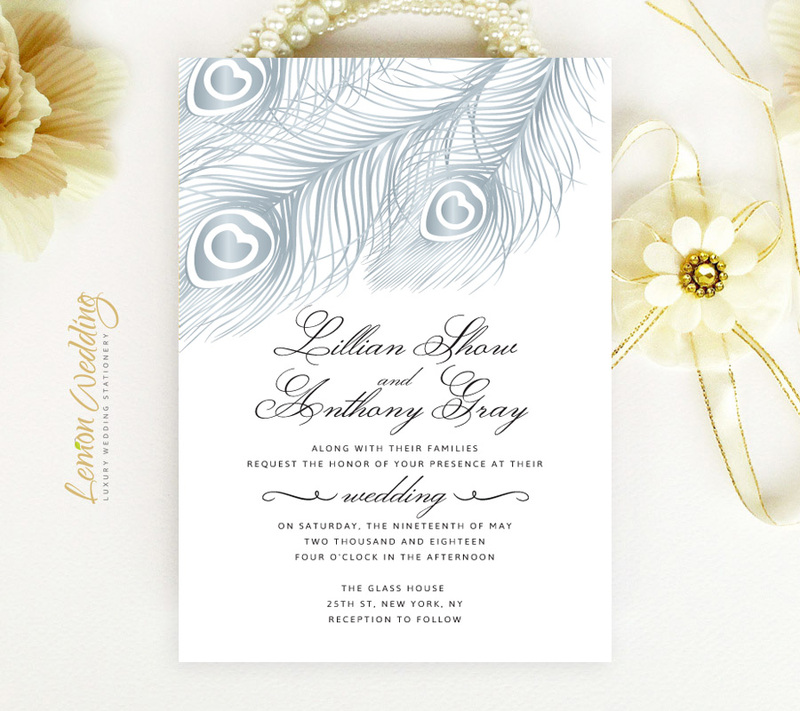 Make sure everyone knows with our stylish peacock invitations that pair well with an eccentric, yet elegant affair. 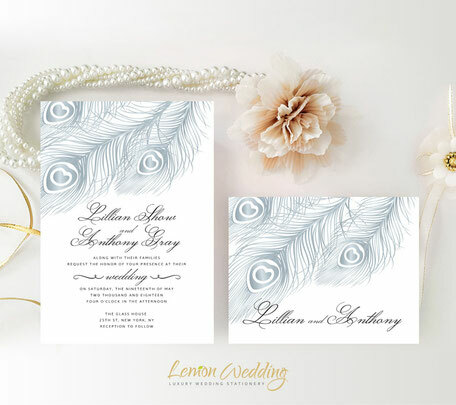 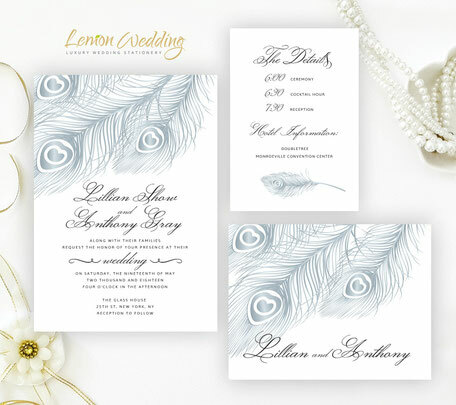 These invites are printed on premium paper and finished with stunning calligraphy and dramatic peacock artwork in soft grey.